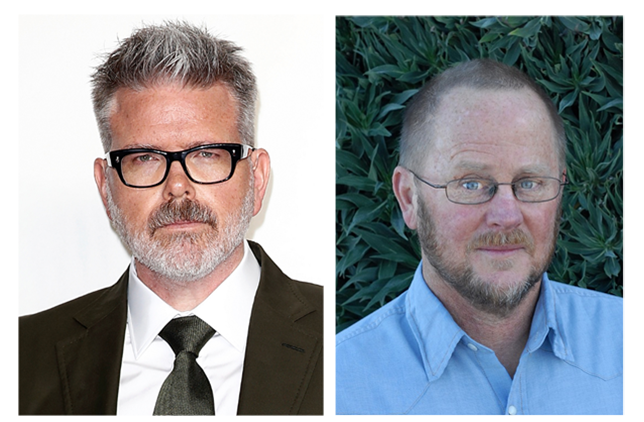 LOS ANGELES – February 7, 2019 – SHOWTIME has announced that Academy Award® winner Christopher McQuarrie (The Usual Suspects) and Anthony Peckham (Invictus) have joined the drama series THE PRESIDENT IS MISSING, inspired by the bestselling novel by President Bill Clinton and James Patterson, currently in development. McQuarrie will executive produce with Heather McQuarrie and the book’s authors. Peckham will also executive produce and write the adaptation. The announcement was made today by Gary Levine, President of Entertainment, Showtime Networks Inc. THE PRESIDENT IS MISSING is executive produced by Christopher McQuarrie and Heather McQuarrie and co-executive produced by Jillian Share for Invisible Ink Productions. Anthony Peckham, Bill Clinton, James Patterson, Bill Robinson and Leopoldo Gout will also executive produce. Christopher McQuarrie is a writer, producer and director, in addition to working behind the scenes as a frequent script and production doctor. He won an Oscar, BAFTA® and Film Independent Spirit award for his screenplay for The Usual Suspects before it was named as one of the 101 greatest screenplays of all time by the WGA. His other writing credits include Valkyrie and Edge of Tomorrow. In addition to writing and directing Jack Reacher, McQuarrie directed Mission: Impossible - Rogue Nation and Mission: Impossible - Fallout, the latter of which is the highest grossing franchise installment to date. He is currently set to begin directing the latest two Mission installments later this year. Peckham was honored with the WGA’s Paul Selvin Award, recognizing written work which embodies the spirit of constitutional rights and civil liberties, for Invictus. His other screenplay credits include Sherlock Holmes and Don’t Say a Word. The 42nd President of the United States, Bill Clinton has written bestselling nonfiction books including My Life, Back to Work: Why We Need Smart Government for a Strong Economy, Between Hope and History, Giving: How Each of Us Can Change the World and Putting People First: How We Can All Change America. Published in June 2018, THE PRESIDENT IS MISSING is his first novel and marked the first time an American President has ever co-authored a thriller. James Patterson is the world’s best-selling author, who has created many enduring fictional characters and series, including Alex Cross. In addition to The President Is Missing, his notable literary collaborations include the Max Einstein series, produced in partnership with the Albert Einstein Estate. The National Book Foundation recently presented Patterson with the Literarian Award for Outstanding Service to the American Literary Community, and he is also the recipient of an Edgar Award and six Emmy® Awards. The second season of INSTINCT, the television series based on Patterson’s bestselling novel, Murder Games, will premiere on CBS later this year.